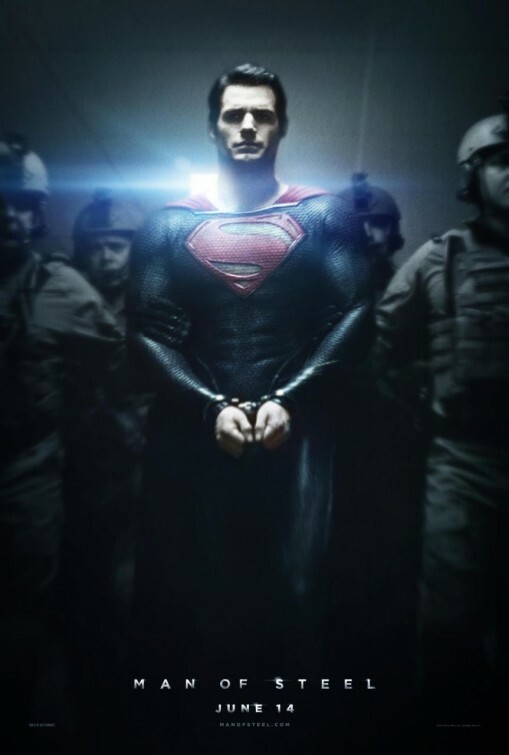 Man of Steel (2013) – Spoilers! Pa Kent knows what mankind is capable of and would rather his son refrain from showing his amazing superpowers. Jor-El knows that his son can become a beacon of hope to mankind of Earth and encourages his son to be example of the best they can be. They have the same son. He is Kal-El, the Last Son of Krypton, a planet destroyed by its inhabitant’s mishandling of their own natural resources. He is also Clark Kent, who grew up a bullied and ostracized Kansas farm boy, who’s grown to become a man searching for his identity and his purpose in this world. He’s been shaped by these two influential men from different worlds, but it’s up to this now thirty-three year-old alien/man to take both the nature and the nurture of his past to determine who he will become. That’s what resonated most for me after watching “Man of Steel”, the latest big-screen version of Superman, a reboot by director Zack Snyder and screenwriter David S. Goyer. Maybe it’s because I saw it on Father’s Day. Of course, the movie contains incredible CGI visuals and intense physical fights, it is directed by the man who gave us “300” and “Watchmen” after all. Snyder tries his hand at camerawork that evokes Terrence Malick, while taking a cue from co-producer Christopher Nolan and going a “Batman Begins” route with the Last Son of Krypton. Try as they might, the result is just a good-looking (albeit loud) sci-fi action blockbuster populated with some good actors (not necessarily performances, mind you), who are upstaged by glaring characterization missteps and a needlessly confusing storyline. At first, the attempts to explore Clark’s sojourn is something new and different for those only familiar with Superman’s origin from the movies. The bearded loner we see roaming the world, picking up a manual labor gig here and there (leaving signs of heroic good deeds or 18-wheeler origami, in his wake) reminds us more of Marvel Comic’s Bruce Banner or Logan (aka, Wolverine) than it does of the iconic hero from DC Comics. This interpretation is somewhat pulled from writer Mark Waid’s Birthright, while other parts of “Man of Steel” are lightly plucked from acclaimed story lines by Geoff Johns and Grant Morrison. The best of “Man of Steel” takes place in most of the first hour. Here’s where we see the world of Krypton as we’ve never seen it before in previous movies. This isn’t an icy rock, but rather a lush terrain inhabited by giant lizards and flying creatures, populated by humanoid Kryptonians wearing fancy gowns and ornate armor (for some reason or another). 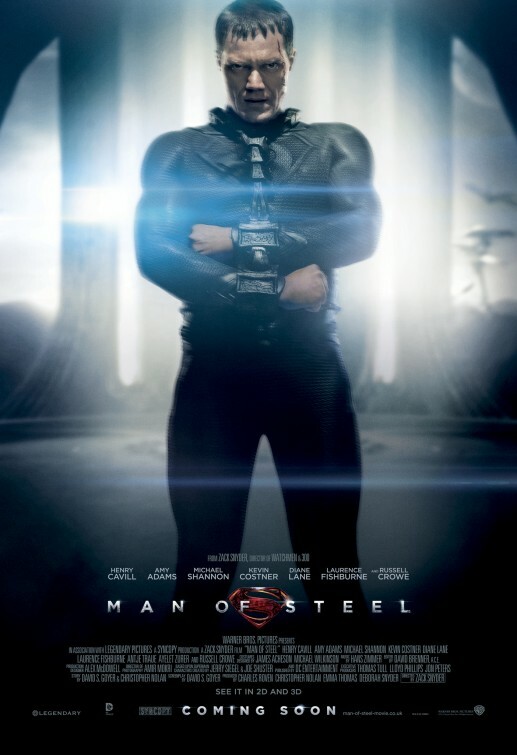 It may not be all that different for those well-versed in comic lore, but seeing Russell Crowe as scientist (and Planetary Man of Action) Jor-El in a black skintight Superman suit was admittedly cool. Crowe is the first of a smartly-cast roster of actors and plays a character who has quite an impact in the movie’s storyline, even after his demise (we all know the age-old origin) as he pops up throughout the film as a calm and weary guiding light. His Jor-El could be seen as laughable by some who choose to see the visuals of the former Gladiator riding a giant dragonfly creature as silliness, but I’ll remember the subtleties of wisdom and pathos he conveyed as a father who wishes for his son a better life than he could offer. 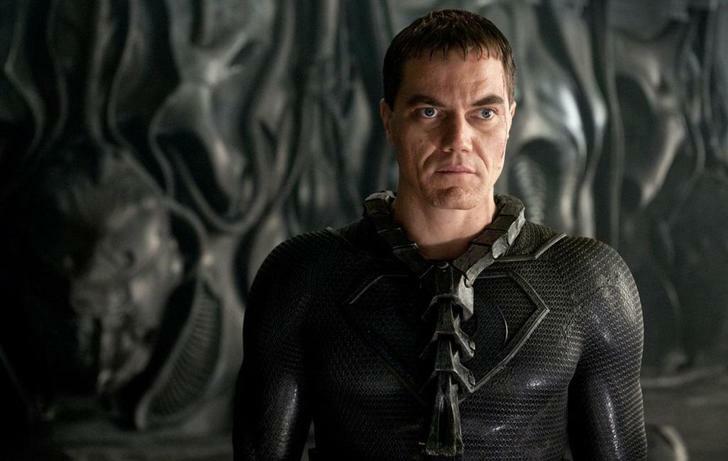 His conscience shows up later as a meet and greet for his son and to deliver an urgent and indignant warning to fellow Kryptonian General Zod (Michael Shannon), a warmonger consumed with a self-righteous preservation of their homeworld. The immensely talented Shannon is relegating to playing a somewhat one-note villain here with a flair for bug-eyed yelling and grimacing menace. There are some slight nuances to his portrayal, but the script Shannon’s working with tries too hard to get us to feel something for his character and in the last half of the picture, when Shannon’s spouting exposition, it’s hard to feel for the guy when he’s killing hundreds of thousands. I haven’t even gotten to British actor Henry Cavill yet. 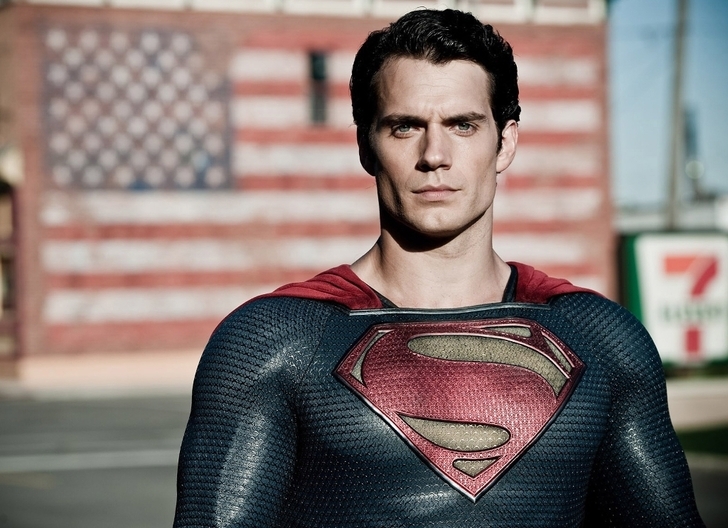 The buff thirty year-old is the first guy to play Kal-El/Clark as an alien. There’s no aw-shucks aloofness or naive “Smallville” act, which is actually kind of refreshing. He seems like a stranger in a strange land in his interactions with people (especially Amy Adams as Lois Lane) and has this otherworldy (almost awkward) disposition about him which stands out among us humans. I liked that about Cavill. He may not be the Clark we’re used to, but he winds up being the Kal-El we haven’t seen yet. That being said, some viewers won’t care for the coldness he exudes. Sure, there’s a bit of exhilarating mid-air laughter as he’s learning to fly, but other than that, there’s what moviegoers and critics are calling “a lack of joy” to his performance and the overall movie. Big deal. This is moody origin stuff. Save the joy and fun for the Superman sequel. Oddly though, there’s no trace of this Kal-El/Clark being raised in Kansas, typically known as the heartland of America. Folks are supposed to grow up with a fine moral center about them. A certain decency about them that has them looking out for the little guy. Maybe that’s Jonathan Kent’s fault. Don’t get me wrong, I like how Kevin Costner depicted Pa Kent. He seems torn, a bit conflicted with what his son should do with his powers. He knows the boy is capable of doing great things, but he continuously implores him to not show himself to others. You can imagine how this could be quite confusing for Clark Kent. I’m sure Pa Kent doesn’t mean to screw up his alien son, but that’s what he starts when he reprimands him after Clark saves a busload of his classmates. That’s a key development in the man who would be Superman. He does the right thing, knowing full well the risks and how his father would react. That’s pretty much the last glimpse of Superman we see in “Man of Steel”, however. That character growth regresses when we last see Pa Kent as Kal-El/Clark remembers a pivotal moment where he could’ve saved his father’s life during a tornado. Instead, Pa Kent tells him to stand down and watch as severe winds sweep him into the air to his death before the eyes of his all-powerful son. Leaving his son with emotional scar tissue and his wife (Diane Lane, playing an endearing Ma Kent, despite not having a whole lot to do) with a farm to take care of while her son walks the earth and “finds himself”. Wow. Goyer really screwed our protagonist up, didn’t he? Although it is undoubtedly an emotional scene (upon first viewing), it just comes across all wrong, upon further reflection. And that’s pretty much how the rest of the movie goes too – especially once Kal-El/Clark suits up in his somewhat familiar red and blue (excuse me, dark scarlet and deep cerulean blue) costume. Once he is suited up, this suddenly clean-shaven Man of Steel is in the hands of director Zack Snyder, who distances the character from the noteworthy attributes we’ve associated Clark Kent/Superman with. Goyer and Snyder do try though. 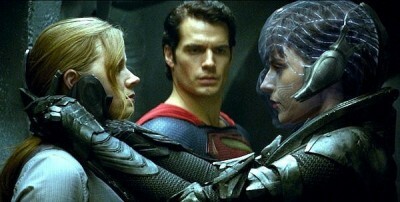 They have Kal-El/Clark surrender himself to the U.S. military after Zod, his righthand touch chick, Faora (intensely played by German actress, Antje Traue, also good in “Pandorum“) and other armored Kryptonians, threaten to destroy the Earth unless the son of Jor-El come with them. The initial Kryptonian reunion in Smallville doesn’t go so well. Despite Kal-El/Clark telling the locals to “Get inside, where it’s safe” he and his fellow impenetrable alien beings proceed to level Main Street and all its “safe” structures. Let the casualty count begin as the collateral damage increases. Inevitably, this persistent fight of (seemingly) gods must make its way to Metropolis. For the record, I don’t even recall characters referring to locations such as Smallville and Metropolis by name – we either or assume or – it just doesn’t matter. You seen one small town and big city, you seen ‘em all, right? Creating a palpable setting for characters to inhabit isn’t necessary when all they’re going to do is destroy smash and demolish. Who cares if hundreds of thousands die as “Superman” and bad guy Zod fights with and through skyscrapers as they fall on top of helpless humans? It’s all about shock and awe! May these humans deserve to die, since we see many of them still hanging out by their vehicles as the fighting continues and buildings come tumbling down all around them. What are these dummies thinking? Didn’t they ever see “Independence Day”? Did they forget about 9-11? Somehow I doubt 9-11 took place in Goyer’s “Man of Steel” past, because this fallen Metropolis certainly feels like a re-enactment. 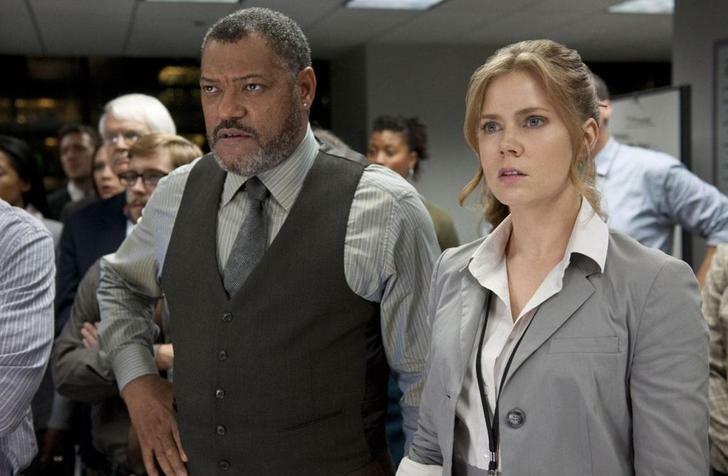 We even get an ash-covered Perry White (Laurence Fishburne) – editor of some newspaper (I think they mention Daily Planet, I’m not sure though) – and reporter, Steve Lombard (Michael Kelly “Chronicle”) trying to rescue the female equivalent to Jimmy Olsen, referred to as Jenny (newcomer, Rebecca Buler), to drive that imagery home for us. Thanks for that. The biggest problem with all this destruction as “Superman” lets it happen. He does nothing to prevent casualties and at no point seems concerned that his fighting is causing death. Oh wait – he does fly off to catch Lois Lane as she conveniently falls out of a military helicopter that’s going down with Col. Hardy (Christopher Meloni) and Dr. Emil Hamilton (Richard Schiff), a few of the heroes in this movie. Only to be followed by a slow landing with Lois held tightly her Superman, ending in a kiss surrounded by a flattened Metropolis, eliciting discomfort and awkwardness rather than chemistry-filled romance. But the major hubbub over “Man of Steel” is when our “hero” kills Zod. Die-hard fans and those of us who were hoping for this “Superman” to maintain a semblance of a moral code, went from gape-mouthed to silently shaking our heads in disapproval. Say what you want about how the scene goes down, he had other options. I firmly believe there was another way than to just snap Zod’s neck. If that’s all that was needed, why didn’t that happen before a city was leveled? Because Goyer and Snyder wouldn’t have it. There’s another scene that further sours me toward this “Superman” (NOTE: in case you hadn’t noticed by now, I’m using quotes because I just don’t see this guy acting like Superman, that and they only use that moniker once in the movie) and that takes place after the death and mayhem. We see “Superman” knock down and (sigh) destroy an expensive drone that the military is using to follow this super alien. He could’ve just grabbed it in mid-air and placed on the ground (eh, what do I know? ), but he had to make a point to General Swanwick (Harry Lennix) and then ask that he and America’s government and military leaders just trust him. Based on….what?!?! Goyer has said that the next movie will deal with the aftermath of this movie. He also stated that this Superman killed so later on we’d understand why he has a “No Kill” policy. Hmmm….if the screenplay was accurate to begin with, there’d be no need for that. I am curious how Lois Lane is going to feel working alongside the all-powerful Clark Kent at the Daily Planet, now that she knows who and what he is. How is that fair? Amy Adams deserves better. I’ve talked about this movie ad nauseam since its release and now I’ve written a rambling review that (like Snyder’s movie) feels meandering and unnecessarily long. I didn’t even touch on all the nauseating Christ imagery used! In the end, I’m left just as conflicted as this “Superman” is, except I care about people more than he does. The more I think about “Man of Steel” the more wrong it feels and, surprisingly, the more appreciation I have for “Superman Returns”. That’s right. I’d guess I’d rather have a Super-Deadbeat Dad as a Superman than a Destroyer of Life.